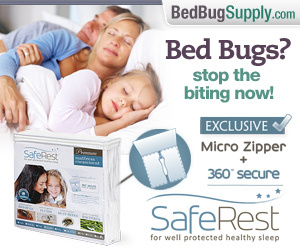 The bed bugs are still biting Pilgrims on the Camino de Santiago de Compostela in northwest Spain. 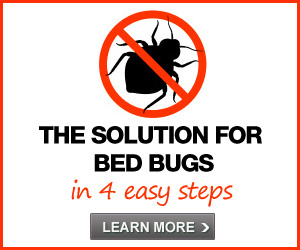 We last posted about bed bugs on the popular Spanish pilgrimage route exactly a year ago. There was so much bed bug trouble in various lodgings on the road to Santiago that the government was planning to close its own hostels for pilgrims for 15 days last winter to try and get rid of bed bugs on the route. 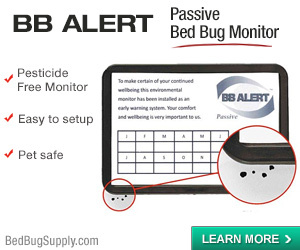 Of course, when pilgrims come from around the world, it is inevitable that bed bugs will be continually reintroduced. 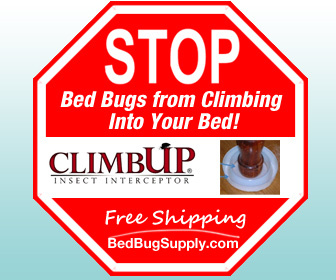 And since summer is the most popular time for people to travel the Camino, it’s no surprise there is a lot of chatter about bed bugs among Camino bloggers and discussion board participants. I lay in bed not sleeping. Was it the very tasty chocolate we’d had after dinner? Or was it the itching? I itched idly, thinking I’d perhaps encountered a hungry mosquito on the road. Then I noticed that I was itching in new places, which seemed unlikely if mosquitoes were the culprit. Then I heard…was it the sound of tiny drums? Then…a kind of festive chant, very soft and high-pitched, almost nasal. The drums increased in rhythm and urgency. It was eerie in the dark. I scratched again, and finally decided to turn on a light. They were everywhere. Hundreds of them. 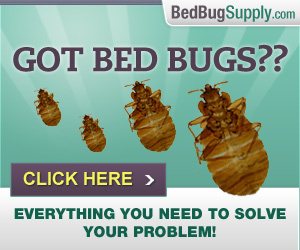 Bedbugs, celebrating something very much like a luau, and the occasion of the feast was me. Some were dancing in little circles wearing ceremonial masks, doubtless thanking whoever their gods are for this more than generous feast. Others carried little torches as they scurried around accompanying the elderly or the lame to the party. 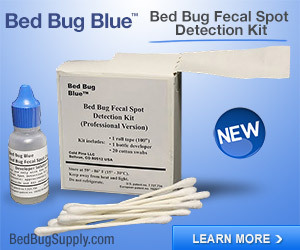 (At least some looked elderly, being gray-haired and slightly hunched, if bedbugs can be described as hunched. The crutches identified the lame–even with 6 legs, sometimes life leaves one down a few legs, needing some help.) Others carried tiny bowls of…coleslaw? Potato salad? Jello? 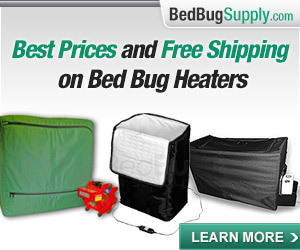 What are the side dishes of a bedbug luau? Sometimes humor is the only way to get through such an experience. Fullam notes that they will be washing all their belongings, and we hope they manage to enjoy the rest of the pilgrimage to Santiago de Compostela without bed bug bites, and — most importantly — that they do not take them to subsequent destinations. I know you’ll want to read the rest of this amusing entry on the Process of Pilgrimage blog. A lad from the Czech Republic arrived yesterday afternoon. 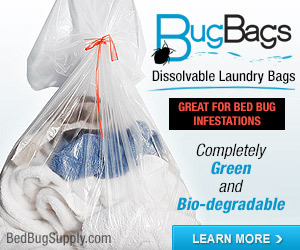 He was covered in bedbug bites: all down his legs and over his back. He thought he got them in León. What a mess! Well, being the sort of hospitaleros we are, we agreed to let him stay. Since Anne is a trained nurse, she took charge, with Peter’s help. All of his clothes went in the washer at a high temperature and everything else was sprayed within an inch of its life. Initially, we said he could sleep in the garden, but relented and let him sleep on the floor of the library. I gave his some antihistamine because it looked as if he was having an allergic reaction. That ensured he had a good night’s sleep! He was a really nice lad and extremely grateful; many places would have told him to go away, or, what’s worse, let him stay and propagate the pest even further. Hopefully, he’s all clear now. It is wonderful that the volunteers who staff these accommodations are becoming educated about bed bugs and how to prevent their spread. 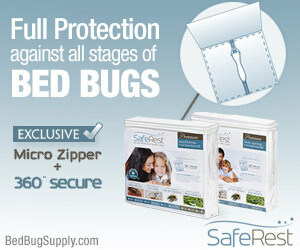 Education is, of course, our most important weapon against bed bugs. Greetings! Lisa from the Camino again. My fiance and I are planning to move soon. 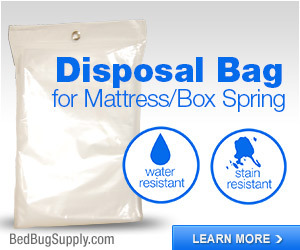 Before we moved into our present place, his apartment was bedbug infested. We have a lot of stuff from his apartment in storage, and have just bought a house. We’re afraid to move the things from storage into our new place, for fear the old bedbugs may tag along. What to do? We were thinking of loading everything into a moving truck, and then bug-bombing the truck. But what to use? We doubt the over-the-counter bug bombs will work. 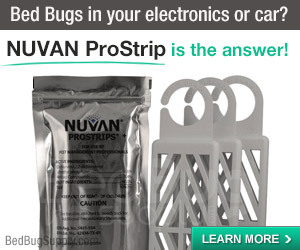 Will a professional assist us in bug-bombing a rented truck? Any suggestions? 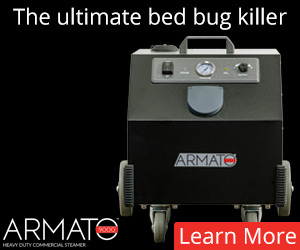 It’s disturbing to think the Camino was not your first encounter with bed bugs. 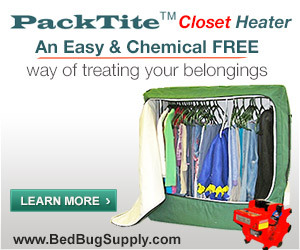 Anyway, you’re right that bombs are not reliable or a good idea where bed bugs are concerned. 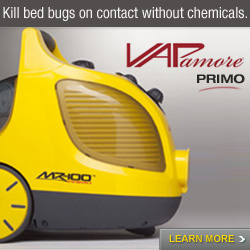 Professionals can use Vikane gas (sulfuryl fluoride) to fumigate a truck for bed bugs. They’ll also do a pod, if you do not have a truck worth of stuff. 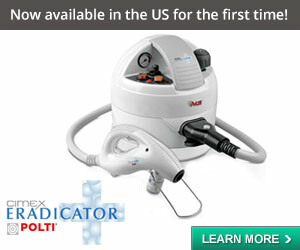 It depends where you are located whether this is available. We’re told at least one thermal provider will heat treat a truck, so it is worth contacting thermal treatment providers (as well as Vikane pros) in your area. If you let us know where you are (on the forums) you may get some local recommendations.